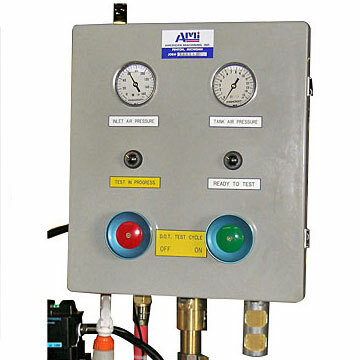 Recertify your own portable tanks / IBC’s to Federal Regulations 49 CFR 178.813 (Leakproofness test) with this wall mount unit (#115350). This system is fully automatic,which ensures containers are all tested with the same accuracy in accordance with Federal Regulations. D.O.T. Automated LeakProofness Test Unit for wall mounting.